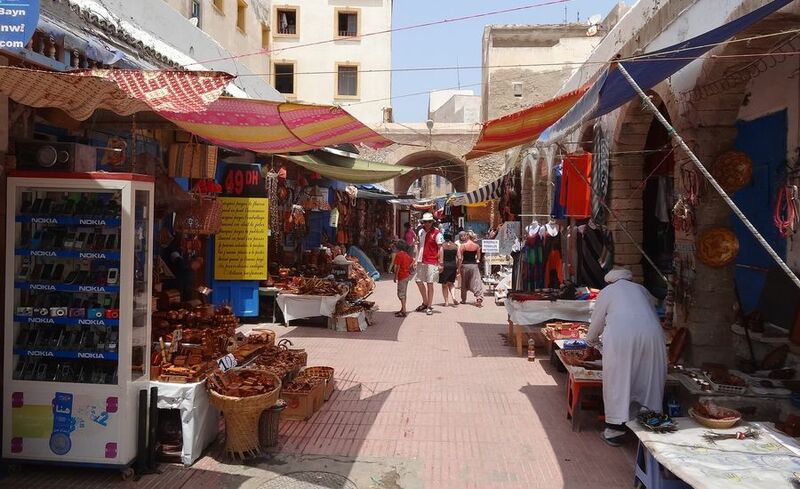 Private excursion to Essaouira and Argan forest from Marrakech. 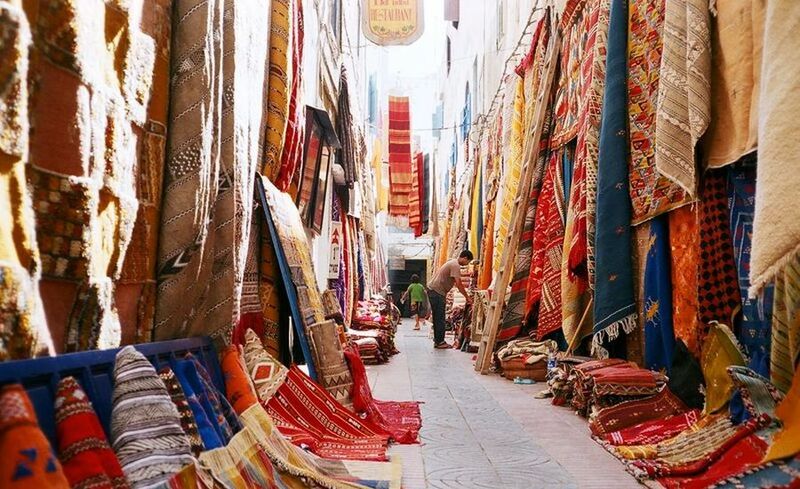 The Charms of Essaouira Mogador and the Argan tree Forests. 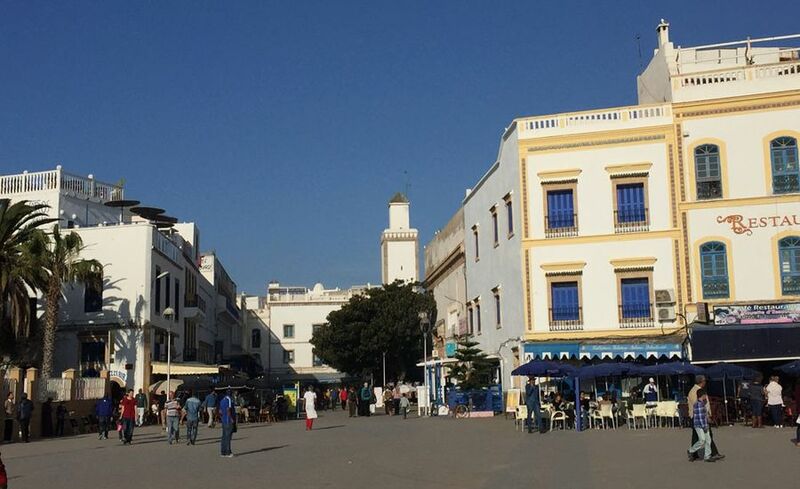 ESSAOUIRA Mogador and the ARGAN tree Forests. Departure from Marrakech at 8am to the city of Essaouira. It is an easy 2h40 drive (192 km) through some stunning landscapes, along the way you can see dromedaries, sheep and goats grazing in the countryside. The vegetation then changes to ARGAN trees that only grow in the wild and which provide berries for local goats to eat. If you wish, it is possible to stop for ARGAN oil tasting in a small cooperative run by local women, where you can attend the process of oil extraction. We can also stop on the way to see the famous Argan tree where goats clamber up the low branches and feed. Sometimes there are as many as 20 goats sitting up in one tree. It is a fascinating sight and an absolute must when it comes to getting a photo opportunity. 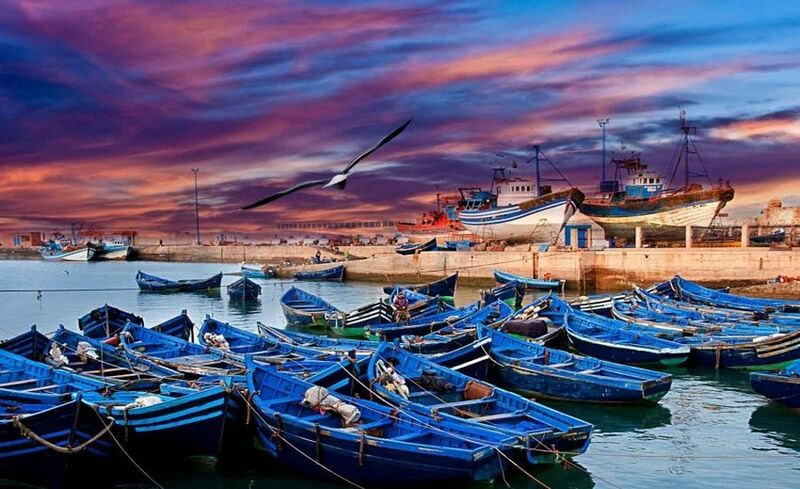 Once you arrive in Essaouira you can explore its peculiar wonders at your leisure. Stroll along the quays, where you can watch fishermen unloading their catch of the day and fishing boats coming back to the shore. Enjoy the many good restaurants close to the port where tables are set up .You can choose your lunch from fish and seafood that has literally just been pulled out of the water. 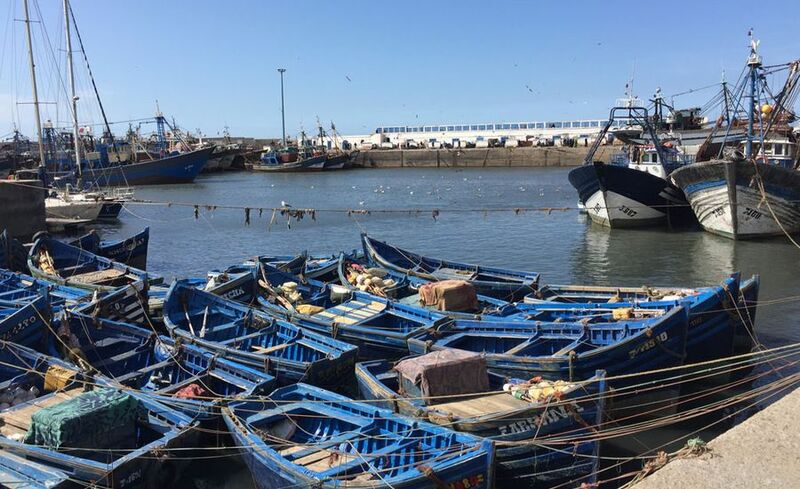 Essaouira is a picturesque and a diverse town where you can explore the historic ramparts, and visit the UNESCO-listed Medina that is full of local artists selling their crafts made of THUYA wood. The ramparts will give you an insight in to how this old seaport village was armed against the threat of invasion. 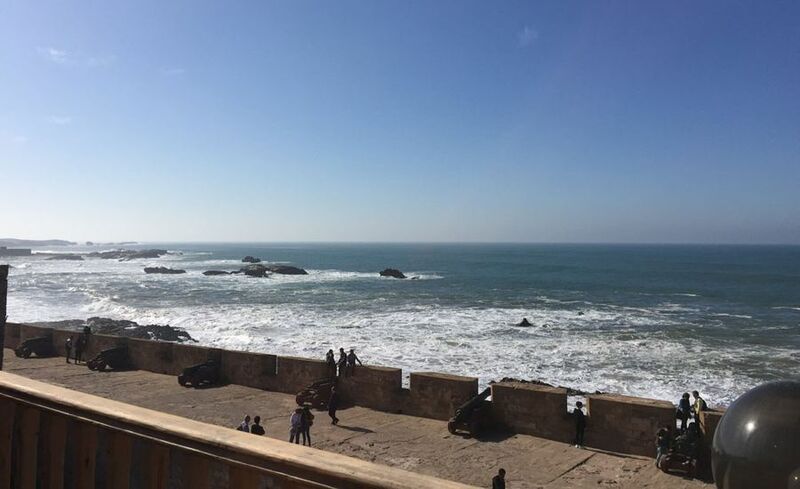 Parquetry still remains a traditional specialty of Essaouira, and another beautiful attraction of the region is its tranquil beach, where you could easily spend a relaxing and peaceful afternoon before driving back to Marrakech.